With over 200 bird species and 1000 individual birds for sale Birdsville is sure to stock the bird for you! Including parrots and softbills like finches and canaries. 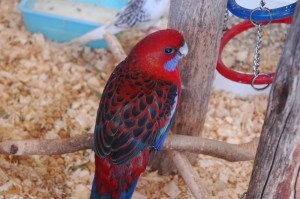 We have an average of 35 species of finches, plum heads, conures, macaws, doves, quails, partridge, grass parrots, peachface / lovebirds, greys, eclectus parrots, amazons, Alexandrines, cockatoos, galahs, black cockies etc, budgies, cockatiels, quakers, kakarikes, princess parrots, superb parrots, king parrots, rainbow lories, purple crowned lories red collared lories, we have more species in stock but you get the idea! We also carry many species mutations and splits for avid bird breeders in search of a particular bird. 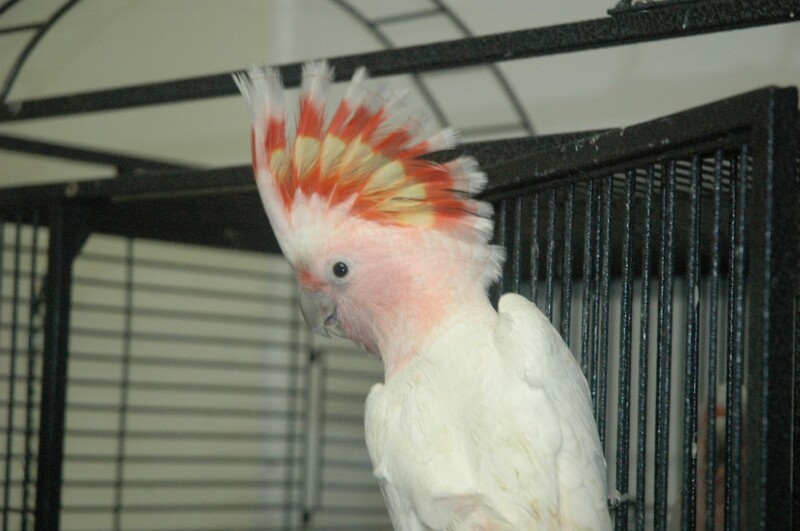 If you are looking for a tame well socialised feathered companion to add to your family or are interested in breeding rare, impressive or unusual birds or simply want some nice birds to sing and cheer up your home aviary you have found the right place, we only stock the healthiest specimens. Birdsville also has a bird minding/sitting service, call the shop to enquire. 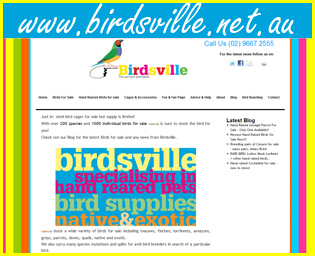 Click here for BIRD SALE ENQUIRIES to BIRDSVILLE! *There are currently 120 people online.